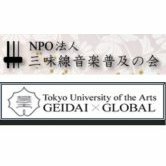 TOMOKO YOSHIZUMI: "SHARK TARONALARI" PROMOTES FRIENDSHIP AND UNDERSTANDING BETWEEN THE NATIONS OF THE WORLD"
18.08.2015 | Very soon on Registan Square in Samarkand will sound music and songs of the nations of the world. EGYPTIAN PUBLICATION ABOUT THE MUSIC FESTIVAL "SHARQ TARONALARI"
13.08.2015 | The popular egyptian science magazine "al-Aklam va al-Kutub" (Pen & Books) published an article dedicated to the international music festival "Sharq taronalari". 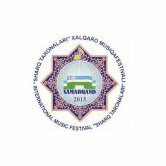 28.07.2015 | Soon, X International Music Festival "Sharq taronalari" will be held in Samarkand, which will bring together participants from more than fifty countries. RUSSIAN ENSEMBLE "OSIKTAKAN" IS PREPARING TO PARTICIPATE IN "SHARQ TARONALARI"
13.07.2015 | The process of preparations for the 10th Sharq Taronalari (Melodies of the East) International Music Festival has been discussed at a press conference in Samarkand. X INTERNATIONAL MUSIC FESTIVAL "SHARQ TARONALARI"